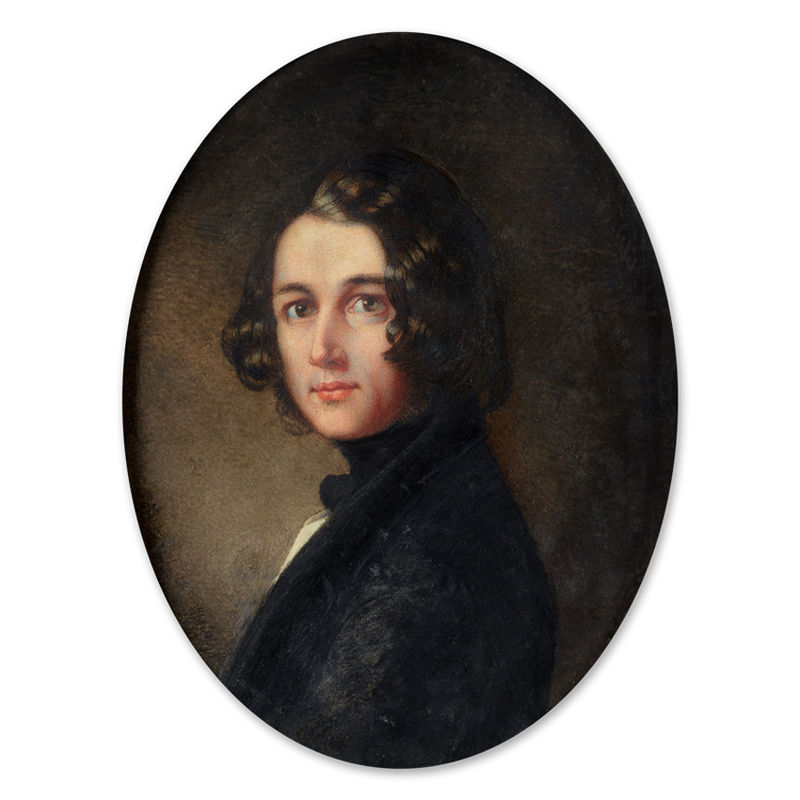 Portrait of Charles Dickens (1812-70) by Margaret Gillies (1803-87). Image courtesy of Philip Mould & Company. The Charles Dickens Museum hopes to purchase the watercolour on ivory, painted in 1843 and last seen in public in 1844 when exhibited at the Royal Academy of Arts in London. It then disappeared from view and emerged at a general auction in South Africa, covered in yellow mould, among a tray of miscellaneous trinkets, for which the owner paid £27. In 2018 the owner contacted Philip Mould & Company for advice and sent the painting to London. After purchasing the painting, the dealer began research with the Charles Dickens Museum and organised for the portrait to be restored by the Victoria and Albert Museum. The Charles Dickens Museum, led by its director Dr Cindy Sughrue, launched a public appeal for funds in November at the same time as the discovery was revealed. “We’ve had individual donations, as modest as £5 and as generous as £5000,” Dr Sughrue told ATG at a fundraising event for the portrait purchase, held at the Philip Mould gallery on Pall Mall, London last week. The Dickens Fellowship contributed £10,000 to the fund. “We’d like to complete the fundraising by the end of March or early April and hope to have the portrait become part of the museum’s permanent collection and on display by the end of this year,” Dr Sughrue said. After closing the public appeal, the museum will approach the Arts Council England/V&A Purchase Fund and the Art Fund for any shortfall. “Philip is very clear he wants the museum to have it, and is keeping the field clear for us,” Dr Sughrue said. Painted in late 1843 when Dickens was 31 by Margaret Gillies (1803–87), the large oval miniature (5.5in or 140mm high) was last seen in public in 1844 at the RA. That year an engraving was created of the painting and published, the only means by which it was known until rediscovery in 2018. Dickens sat for the portrait miniature, which is currently on display at Philip Mould’s gallery, in the period he was writing A Christmas Carol. Those wishing to donate can contact cindy.sughrue@diskensmuseum.com, or telephone 020 7405 2127. Direct donations can be made at dickensmuseums.com/pages/donations.